Any other topping you like. We added ham today but my personal favourite is tuna & sweetcorn. Put pitta’s in the toaster for 1 minute and then put to one side to cool slightly. Toasting helps stop a soggy base and no one likes a soggy base !! Once cooled dollop a tablespoon of tomato purée onto each pitta and spread all the way to the edges. Then remove, let cool slightly and cut into pieces. 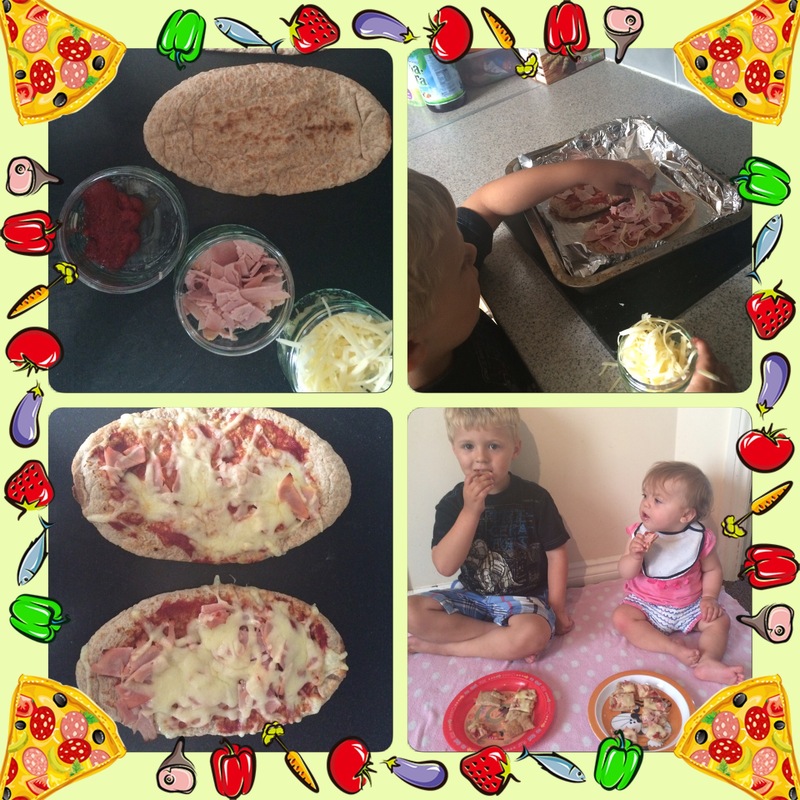 This recipe works for anyone looking for a low-calorie treat, fussy eater children, weaning baby’s (10mths+), basically anyone who loves a pizza. Stick an old blanket down, get the kid’s teddy bears out and you have an instant teddy bears picnic that will keep them quiet for at least 1/2 hour. The Joy !!! "Do Super-Heroes Ever Get a Day Off ? "